Kimberly Kirkpatrick is the Director, Resolutions and Equity Division. Since her arrival in March 2011, she has invigorated internal and external partnerships that support and provide reasonable accommodations to the disability community. 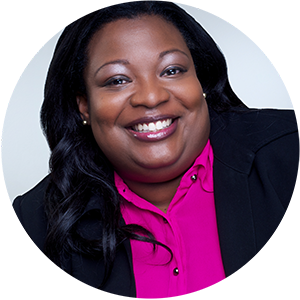 Prior to joining NIH, Kimberly served as the Senior Equal Employment Opportunity Specialist at the Department of Health and Human Services. In addition to monitoring EEO complaints and processing reasonable accommodations, she executed the Management Directive 715 for the Office of the Director and the Administration for Children and Families. 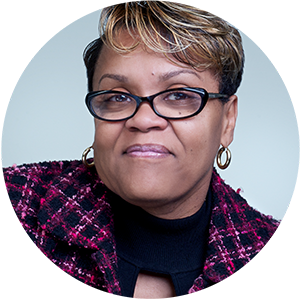 An alumnus of the University of Maryland, University College, Kimberly started her federal career in 1992 at the Pension Benefit Guaranty Corporation (PBGC). Since then, she has served as an EEO Counselor and Investigative Contracts Manager, and Co-Chaired a highly successful Special Emphasis Program. She has over 20 years of government service, including 15 years in the PBGC, Office of the General Counsel, Appeals Division. There, she was influential in implementing the use of the Workforce Recruitment Program for Students with Disabilities and directed the Organization’s first Job Shadowing Day and Diversity Day Observance. She also served as the Disability Program Manager and the Federal Women’s Program Manager. 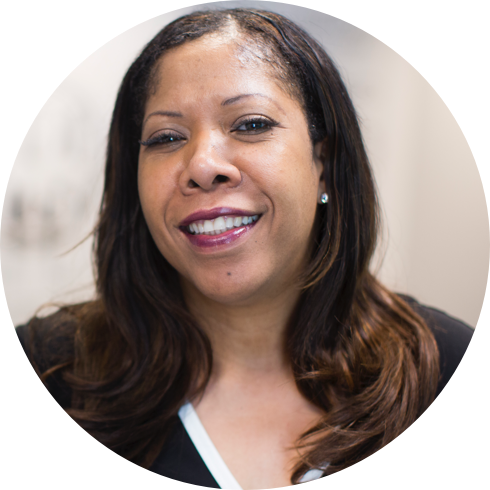 Kimberly is known for her ability to quickly assess issues, her strength in creative resolutions, and her forte in adapting to challenges. 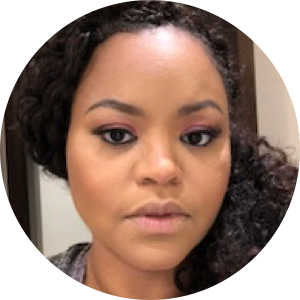 Kenrick worked at the Food and Drug Administration since 2014 as a Formal Complaints Specialists and served as the Acting Director for Compliance and the Team Lead of the Compliance Team. He directed the coordination of assignments for all duties of the Compliance team including the preparation of accept/dismissal letters, issuance of reports of investigation, and transmittal of EEO complaint files, the processing of and the coordination of all appeals and remanded cases. 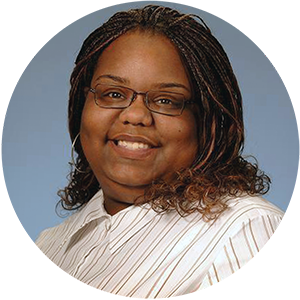 From 2009-2013 Kenrick worked at the Department of Health and Human Services, as a Senior EEO Specialist. There he perform the full range of EEO services including, but not limited to complaint processing and adjudication functions, administering diversity management initiatives and administering affirmative employment and special emphasis programs. Kenrick’s EEO experience continues back to include Civil Rights Specialist, Attorney at Law, Probation Officer, Correctional Counselor, etc. Kenrick earned his J.D., at Western New England College School of Law, Springfield, MA, and his Bachelors in Sociology at Springfield College in Springfield MA. Eric joined EDI as the Branch Chief for the Informal Complaints Branch in March 2014. He brings a variety of talents to this position with a keen eye towards alternative dispute resolution (ADR). In 1999, Eric was offered a job as the Internal Ombudsman for the Washington Metropolitan Transit Authority providing confidential resolution of internal disputes between employees and management. He also provided training to managers and employees on various topics ranging from Conflict Coaching, 360-degree feedback surveys, and Interpersonal Skill Development. In 2008, Eric was offered a position at the U.S. Pentagon Force Protection Agency (PFPA) as an ADR specialist. At PFPA, he served as an EEO liaison to the Director, the EAP Coordinator, and an employee relations specialist. In 2010, Eric began working at the U.S. Food and Drug Administration as a Conflict Prevention and Resolution Specialist. Certified as an EEO Counselor, he has extensive experience with EEO informal complaints and has tirelessly worked to resolve complaints of discrimination before they become formal complaints. Born in Annapolis, Maryland, Eric earned a Bachelor of Science in Psychology at Morgan State University in 1988. Interested in continuing his education in the field of Counseling, he enrolled at the University of Maryland, School of Social Work specializing in Employee Assistance Program Counseling (EAP). Eric obtained a Master of Social Work in 1992, and has also received certifications in Organizational Development from Georgetown University and the American Society for Training and Development (ASTD). In 2007, Eric also obtained a 40-hour certification in Mediation from the Center for Conflict Resolution.